If you’re bothered by the appearance of stretch marks along your abdomen, arms, legs, or other areas, our Certified Laser Technician and Licensed Aesthetician at Suite 200 Med Spa can help.  Using Icon laser technology he’s pleased to provide minimally invasive, effective treatment for stretch marks to patients in Bryn Mawr, Pennsylvania. Stretch marks are aptly named because they seem to be caused by stretching of the skin. Anyone can develop the bothersome lines but being female, rapidly gaining or losing large amounts of weight, pregnancy, family history of stretch marks, and certain genetic disorders raise your risk for their appearance. How can laser therapy minimize stretch marks? Unlike topical creams, Icon laser therapy reaches deep below your skin’s surface to target stretch marks from the inside out. Your skin absorbs the highly concentrated energy, triggering your immune system to generate new collagen and skin cells. This helps fill stretch marks in over time. Because the lasers target specific cells, they won’t damage surrounding skin. Icon laser treatments last about 30 minutes per session, during which you’ll rest comfortably and awake. As our Licensed Aesthetician/Certified Laser Specialist moves the hand-held device over your skin, you may experience a sensation some patients compare to a rubber band snapping against it. Many patients report feeling little if any discomfort. If you’re concerned or have particularly sensitive skin, our Licensed Aesthetician can apply a topical anesthetic beforehand to prevent irritation. Our Licensed Aesthetician/Certified Laser Specialist determines how many Icon laser sessions you need based on factors such as the severity and placement of your stretch marks and how well your skin responds to the initial treatment. Patients typically require about 3-5 Icon laser treatments to restore skin consistency and smoothness. Because laser treatments are minimally invasive and quick, severe side effects or complications are very rare. You may experience temporary swelling and redness after the treatment, however, which will gradually minimize on its own. Some people experience potentially lasting pigment changes, acne flare-ups, infections or, in especially rare cases, scarring.